The Search Agency is keeping score with its latest research on Fortune 100 companies and their adoption of mobile best practices. 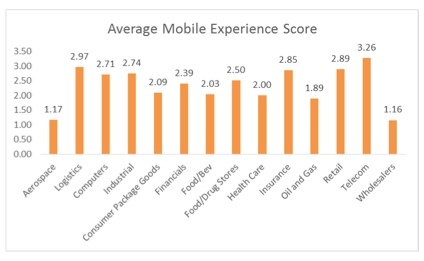 The agency has released a scorecard that compares what some of the biggest brands are doing (or not doing) when it comes to delivering a mobile experience for users. 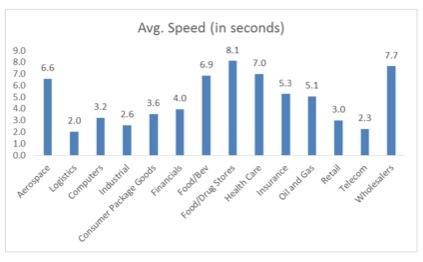 The average score for all companies in the study was 2.31 out of 5. Surprisingly, many of the brand’s websites had slow load times – much slower than Google’s recommendation of sites loading in one second or less for the mobile experience. Upholding your brand by carrying over the visually significant elements of it from the desktop site to the mobile site. Focusing the message by placing the most essential information at the top of the page, because this is where viewers spend the majority of their time. Consider using responsive web design as it allows a single, dynamic site which allows traffic, authority, and link value to be consolidated to one site and easily sorted, tracked, and measured through popular analytics packages. Optimize navigation with touch-friendly buttons and links. Use breadcrumbs, filters, and jump links to improve user experience. Use large fields to help users more easily see and fill in questionnaires to impact completion rate. For more information on The Search Agency’s Fortune 100 mobile scorecard, go here.